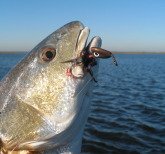 Buggs Fishing Lures have proven deadly on Saltwater Fish. 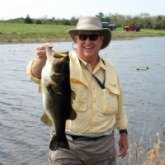 Here you'll see pictures of Buggs-caught fish and find links to the pages where you'll find valuable fishing tips for each species. 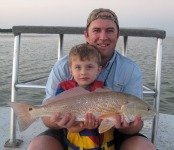 The most vocal and enthusiastic response to Buggs Fishing Lures have been from shallow water anglers/hunters of redfish along the Gulf Coast. 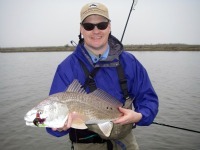 These skilled fishermen "hunt" redfish in shallow flats, where all of their senses are utilized and stealth is a must. 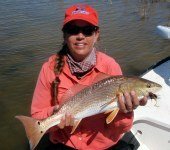 Buggs Fishing Lures have been a welcome addition to their arsenal, and for many their number one, go-to bait! 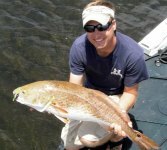 Here are some pictures, followed by a link to the Lures for Redfish page where you'll learn why Buggs are so effective. 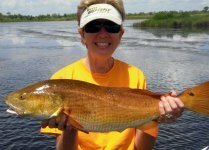 Head to the Lures for Redfish page to learn why they're so effective and see the different models! 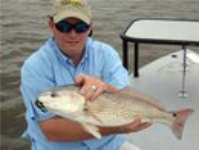 Along the Texas Gulf Coast and beyond, Speckled Trout rival Redfish in popularity among anglers. 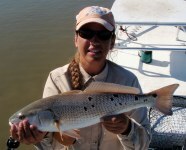 They haunt the shallows, surf, and deeper waters of the bay systems, looking for shrimp and baitfish. 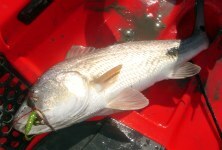 Buggs Fishing Lures have been fooling them from the beginning, especially the Flats Buggs with Curl Tails. 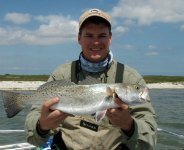 Find valuable tips at the Speckled Trout page by following the link below. 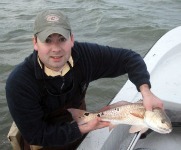 Follow the link to the Speckled Trout page. Flounder are a challenging species, and remain largely misunderstood. 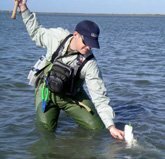 But with a few important tips, including clues to their seasonal migrations, anglers can target them with confidence. They are fun to catch, fight hard, and delicious to eat. 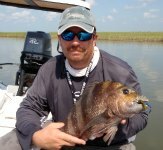 At the Flounder page you'll learn why experts like Chester Moore call them "lazy and opportunistic", and how you can utilize Buggs to increase your catch. 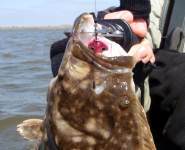 Follow the link to the Flounder page for valuable tips! Thanks for visiting the Saltwater Fish page. 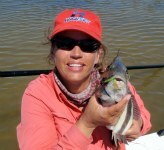 We'll keep adding pictures of Buggs-caught fish, and continue posting valuable fishing tips on the species pages.